Welcome back to another guide! It’s sure been a while, but we like to take our time when it comes to compiling detailed and useful guides for you. Several months ago we did another similar piece: a guide on how to wash The North Face jackets. There we looked at a variety of different jackets from the brand, which serve as a general “to keep in mind” collection of tips for other jackets, too. However, since most of you who have brand jackets would rather have the specifics on washing that particular jacket, here we are again. Today it’s all about Columbia, a brand that never disappoints and that has frequently made it into our reviews and selections. To get you a bit acquainted with the brand, if this is the first time you’ve come across it, Columbia is an American manufacturer of outdoor gear and clothing. We are especially fond of their jackets, which, just like the rest of their products, are tried and tested in extreme conditions. This guarantees that the product meets the standard and that you are getting only the best of the best. In this guide, we will be going through several different types of jackets from the brand, and discuss the best maintenance tips for a lasting wear. After all, why go for a top of the line jacket while risking damaging it with improper care? But it’s not rocket science, either, so you don’t need to worry or be put off from getting a quality jacket. Before we get started there is just one thing we want to make clear: Always refer to the washing instructions on the label of the jacket. Each garment has its specific requirements for washing. Failing to do so may result in a poorly-washed jacket at best and it being damaged irreparably at worst. With that being said, let’s get technical! We are starting with fleece jackets as they are the lightest and easiest to look after. Fleece jackets are great for layering underneath a heavier jacket, as they provide insulation, while being adequately breathable. 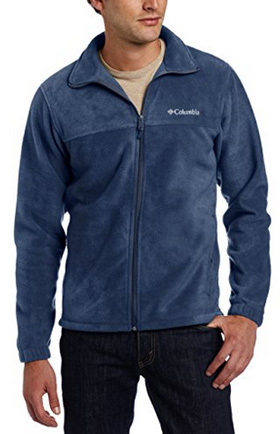 Typically Columbia fleece jackets are made with anti-pilling fleece or microfleece. However, despite the fabric being anti-pilling, there are still some steps you can take to help things along. And by the way, pilling does not make a jacket lose its performance quality, it just makes it look worn out and it’s just not very appealing. Zippers up – never, and we mean never ever, leave a fleece jacket (or any jacket for that matter) unzipped when washing in the washing machine. Unless advised otherwise by the manufacturer, of course, but that’s hardly ever the case. An unzipped jacket means a damaged jacket, as through the tumbling and rumbling around in the washing machine, the risk of the zipper catching onto and damaging the fabric is quite high. So why chance it? Turn the jacket inside out – this will prevent pilling, keeping the fabric smooth and looking new. Mild detergents – with delicate fabrics, such as fleece and most jacket fabrics, a mild detergent is the best option. Either that, or you can purchase fabric-specific detergents, but that’s a bit overkill if you ask us. Also, no bleacher or softener. If a detergent includes those, keep it for your whites! Low temperatures – go with cold water when washing fleece. Polyester has a tendency to shrink in high temperatures and that’s something you will want to avoid at all costs. Plus, with today’s detergents, hot water isn’t always necessary, so you can rest assured that your garment has been washed thoroughly with cold water. Air is the best drier – avoid dryers, if possible. Plan ahead and wash the jacket so it has enough time to dry in open-air. This will not only prevent shrinking, but also keeps the fabric from pilling and damaging. Rain jackets are one of the most purchased jackets throughout the years. No need to explain why, truly. 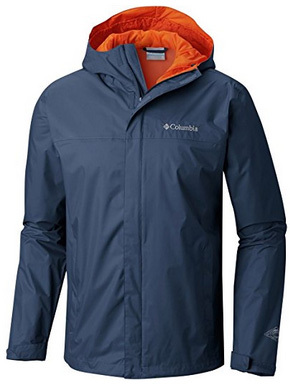 Columbia makes some fantastic rain jackets that are lightweight and work either on their own or are suitable for layering underneath with a fleece layer, if the weather isn’t too promising. Pre-cleaning – first things first, in order to make the washing process easier on both you and your jacket, make sure to remove any debris or dirt stuck on the jacket. For any stains, the old method of putting some detergent on the stain beforehand usually works well. Columbia also recommends the use of stain removers if necessary, just make sure they do not contain any bleaching agents. Powder detergents – while liquid detergents are appealing as they seem very practical, they are designed to get through the fabric. Most waterproof jackets are also treated with DWR coating that causes water to bead up on the jacket. Powder detergents are great for washing this type of jacket without damaging the DWR coating as they work on the surface, without having to penetrate through. Softeners and bleach – we are going to repeat this as many times as necessary. Better that than you ending up with a damaged jacket. Softeners and bleach contain very, very harsh chemicals. Yes, softeners too. They don’t solely work on the stains, but on the fabric too. Continuous use will damage delicate fabrics and in the case of jackets, make it lose its qualities. What good is a rain jacket that stops being waterproof, after all? Keep it cool – the water (and the style, too). Unlike with fleece, which runs the risk of shrinking, rain jackets can get damaging on their fabrics, due to the detergent-hot water combination and lose their performance. Velcro and zipper – zippers all up, including pockets and Velcro fasteners secured. This way, the fabric won’t get scratched or worse, ripped. Ironing – who irons a rain jacket, seriously! But really, don’t! Waterproof garments have sealed seams and coating added to them in order to prevent rain from getting through. The iron’s temperature will melt these security features and you will be left with a once-great jacket and possibly in need of a new iron. Air dry – avoid dryers generally, or if you must, keep the heat on the down low and turn the jacket inside out, with zippers done. High temperatures in a dryer run the same risk as ironing. DWR coating – if the jacket you have has been treated with a DWR coating, then test it out after the wash. Water beading on the surface means you are good to go. If it gets through, then redoing the coating yourself will suffice. However, this is not much of a concern for the first few washes, but it’s best to be prepared and have a DWR spray at hand for when the need arises. 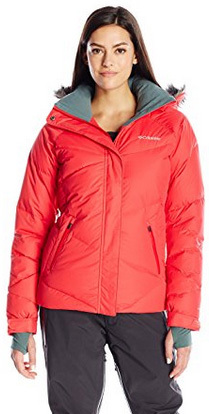 Down jackets are comfortable, they come in great designs and they are extremely warm. There are many reasons to love a down jacket, but looking after it can be a real pain. From balling of the down after washing, to feathers flying out due to damaged stitching, it’s no wonder people opt for synthetic-insulated jackets. Columbia’s down jackets are made from responsible resourced down, which supports humane treatment of the animals. Specific or mild detergent – we said it was overkill to use a specific detergent for most jackets, but that’s not the case with down ones. This is to preserve the feathers, therefore maintaining the qualities of the jacket. If you are unable to get specific detergents, then a very mild one will do the job. As always keep the water cold and choose a gentle cycle to prevent the feathers from being too rustled. Drying – also different than the other jackets, a dryer would be recommended for a down jacket. Low temperature, of course, and with a couple of tennis balls. The tumbling will make the balls disperse and fluff out the down insulation, preventing it from drying bunched together. If you don’t have a dryer, then you must do the fluffing yourself. When the jacket is out of the washing machine, try to flatten it out and then slowly undoing any clumps of feathers. Hang it to dry and check every couple of hours, undo any clumps and repeat this until it is completely dry. It sounds tedious but it’s the only way if you want the jacket to maintain the insulation as it should. Not just that, but since it is natural down, any wet clumps run the risk of getting mold on them and that’s a safety hazard all on its own. Ironing – again, the seams and any protective coating are usually applied by heat, which means that ironing will likely undo all of that, while also pulling it apart and having it stick to it. Omni-Heat fabrics are an incredible innovation as they provide warmth with reduced bulk. The reflective silver dots manage to heat up to the level of your body’s temperature and continuously reflect that heat back, keeping the temperature stable inside the jacket. This is also managed in combination with the breathability of the fabric, that helps wick perspiration out, keeping you dry and comfortable. Omni-Heat jackets are either highly water-resistant or fully waterproof, depending on the design. As such, taking care of it is similar to caring for a waterproof jacket. Mild detergent and cold water – this is the staple of washing jackets, so keep that in mind. Gentle cycles are also the best way to go, especially considering the silver particles and type of fabric. 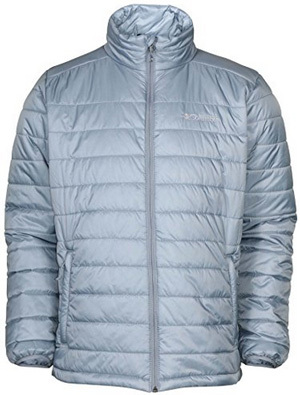 Air dry – air drying not only saves energy, but it also guarantees a longer lasting jacket. Ironing – do not iron Omni-Heat jackets as the outer coating will lose its abilities and you will cause damage both in performance and appearance of the jacket. 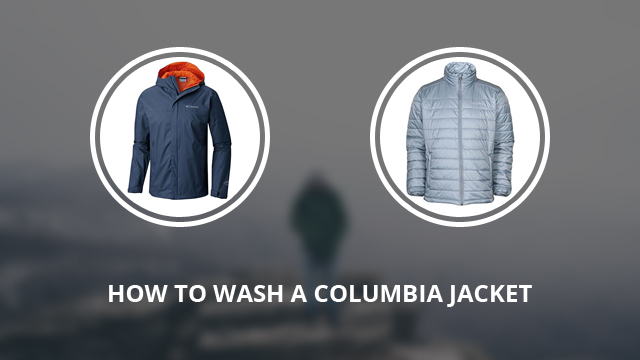 That is all you need to know about washing your Columbia jackets. Keep the key things in mind, such as avoiding harsh chemicals and high temperatures and you will have a long-lasting jacket.